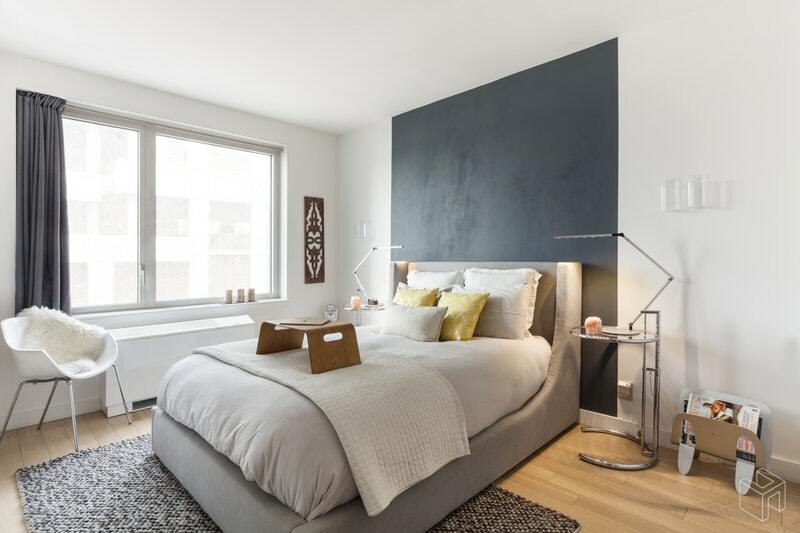 This stunning oversized one-bedroom with a flex room/home office and two full bathrooms is located in the North Tower of the Edge, one of the most sought after buildings in Williamsburg. 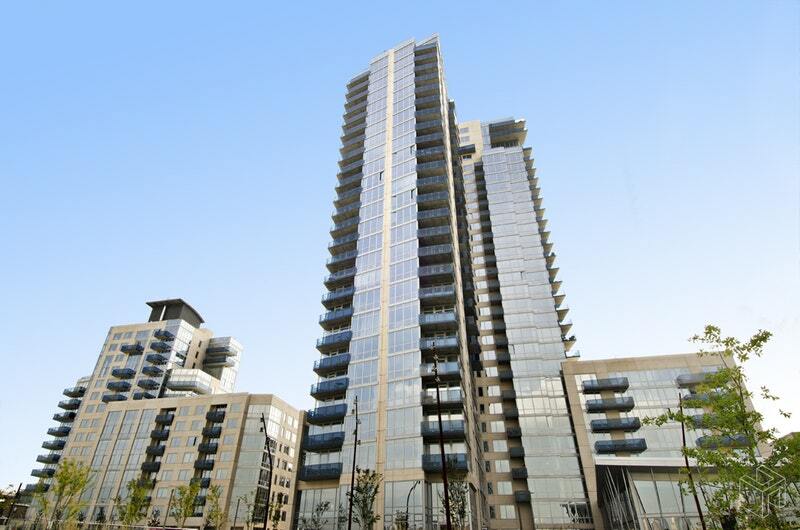 The apartment features the highly coveted western city and river views through floor to ceiling windows. 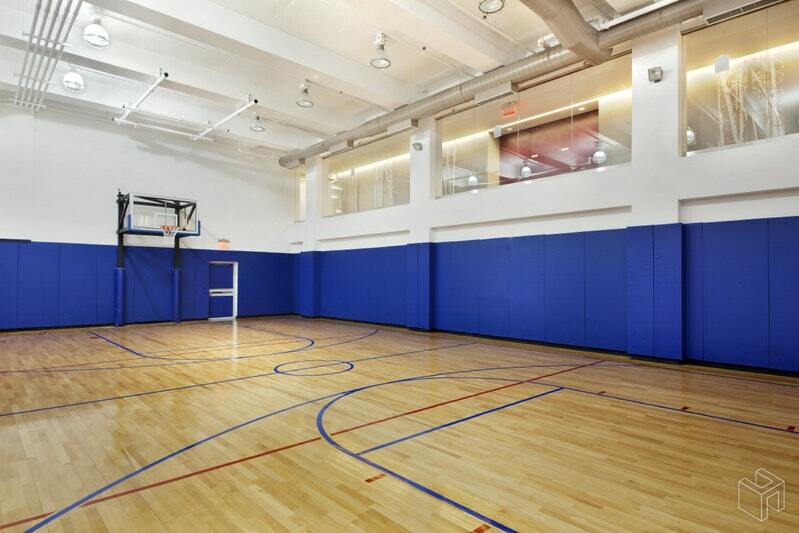 Natural light washes over the wide-plank hardwood floors and high ceilings. 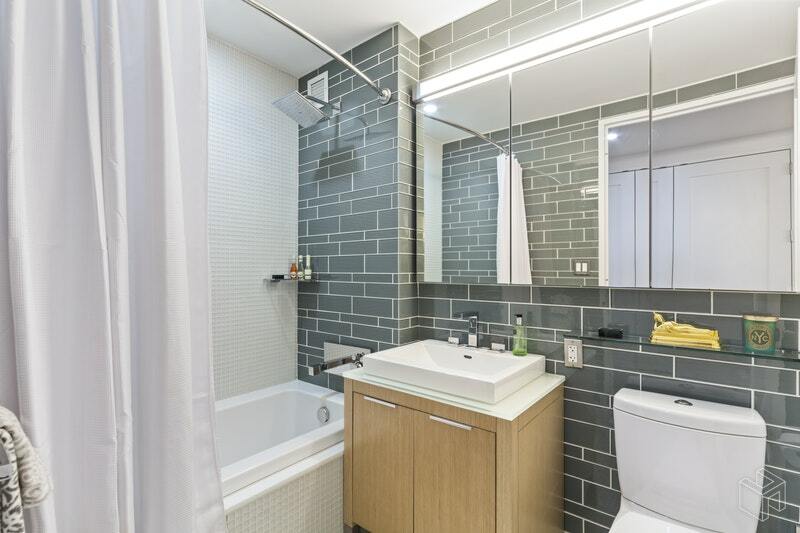 Enjoy an extra-large living room, a gourmet kitchen with Quartz countertops, Bosch and Miele appliances, spa-like baths with rain shower fixtures, Bosch washer/dryer, ample storage space, and in addition a private 6'x5' storage unit in the basement is also available for purchase . 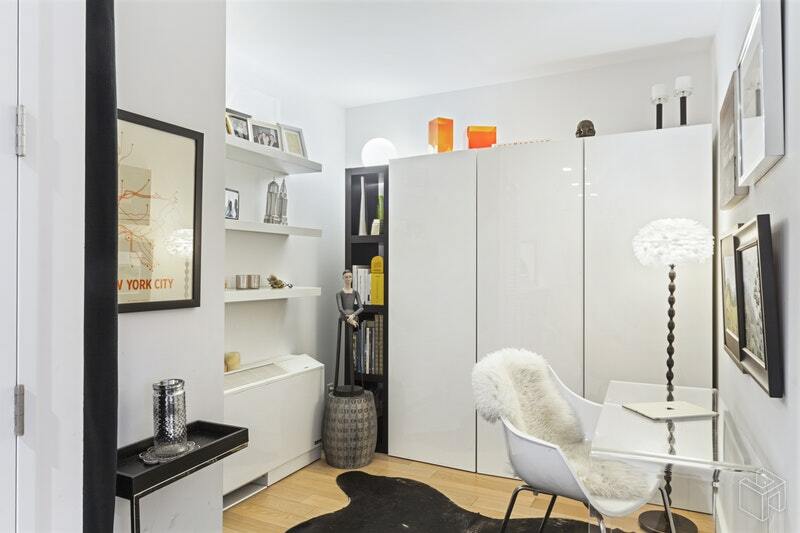 Enjoy endless sunsets from your own private 70 sq. 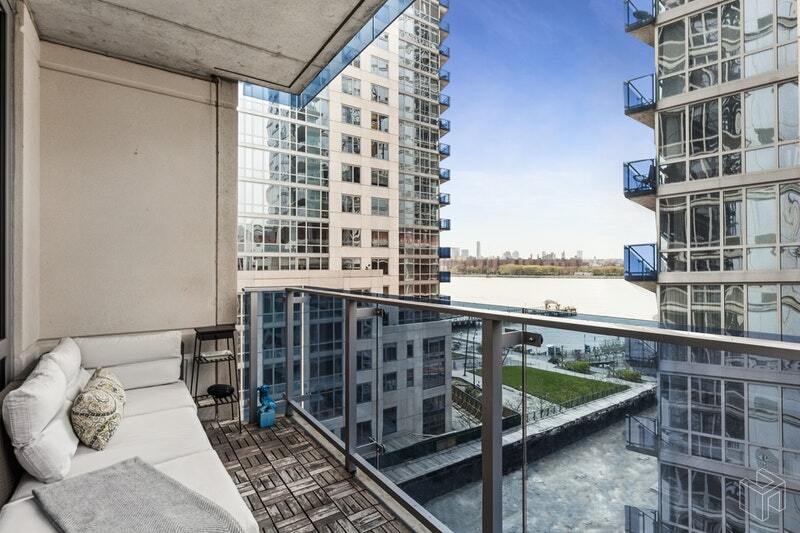 ft. balcony while taking in the gorgeous waterfront views of the Manhattan skyline. 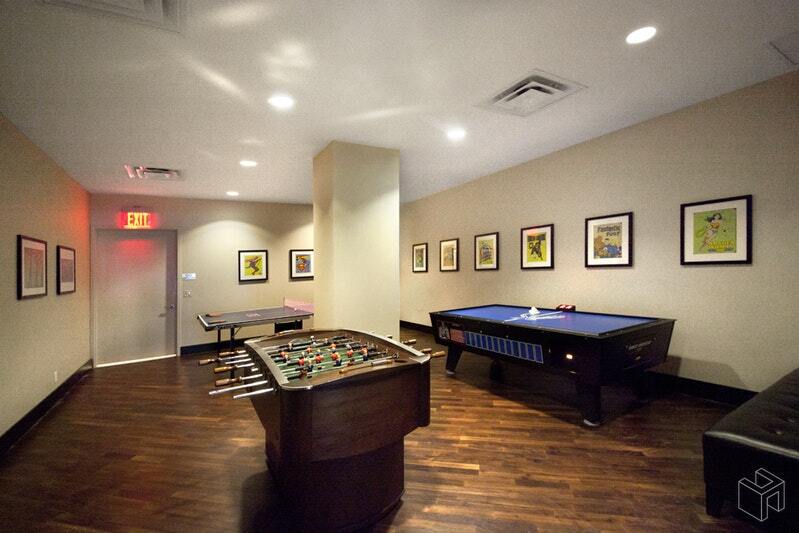 The unit is eco-friendly with energy efficient appliances and flooring sourced from sustainable forests. 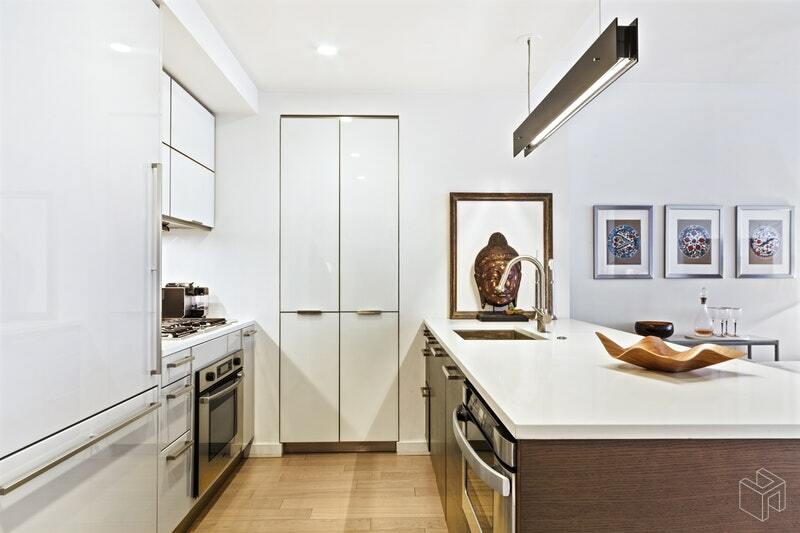 The Edge is the preeminent luxury condominium in Williamsburg and the largest building in NYC to obtain LEED Gold certification. 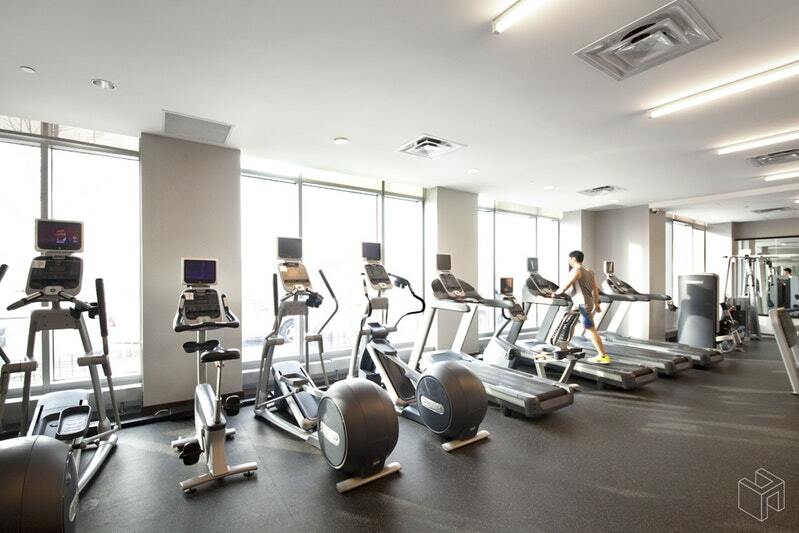 Boasting arguably the best amenities package in the city, the Edge has an extensive array of common spaces for its residents, maintained by on-site management American Leisure. 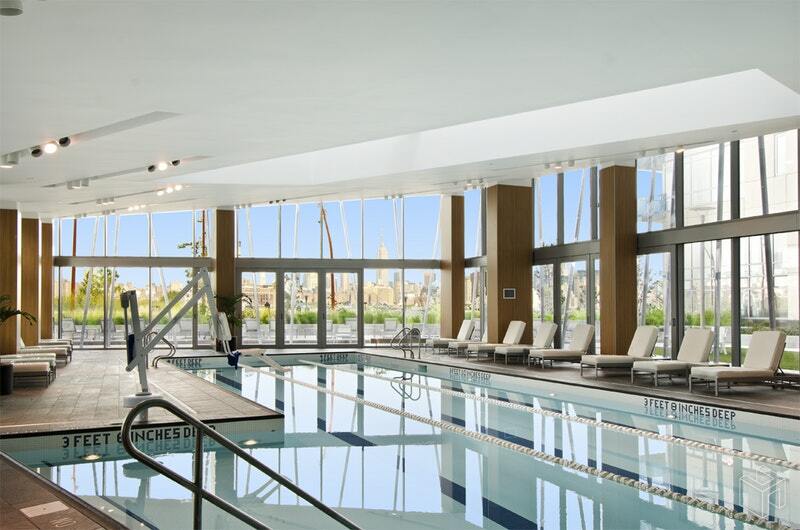 The Edge offers pools, steam room and sauna, fitness centers, a full-size indoor basketball court, yoga and dance studio, virtual golf, 24-hour doorman and staff, children's playroom, movie screening rooms, lounges, a parking garage, and more. 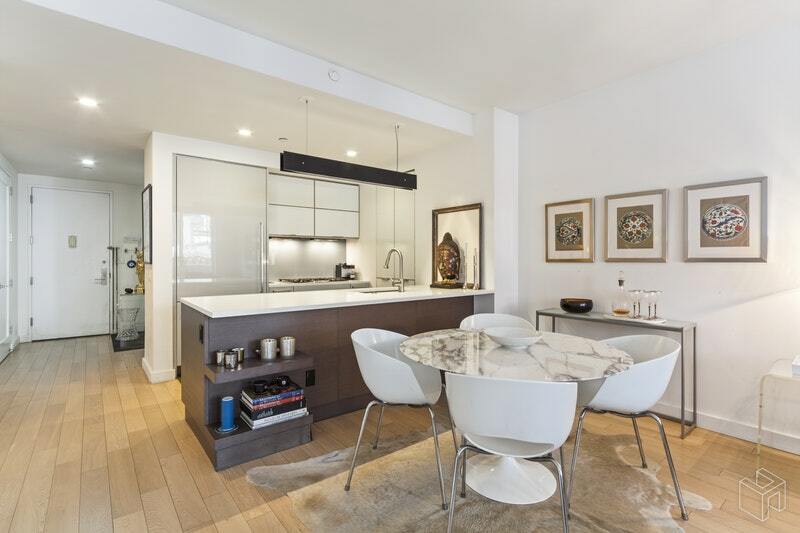 With over 17 years left on the tax abatement and low common charges, this property would make a wonderful home, pied-a-terre, or investment. 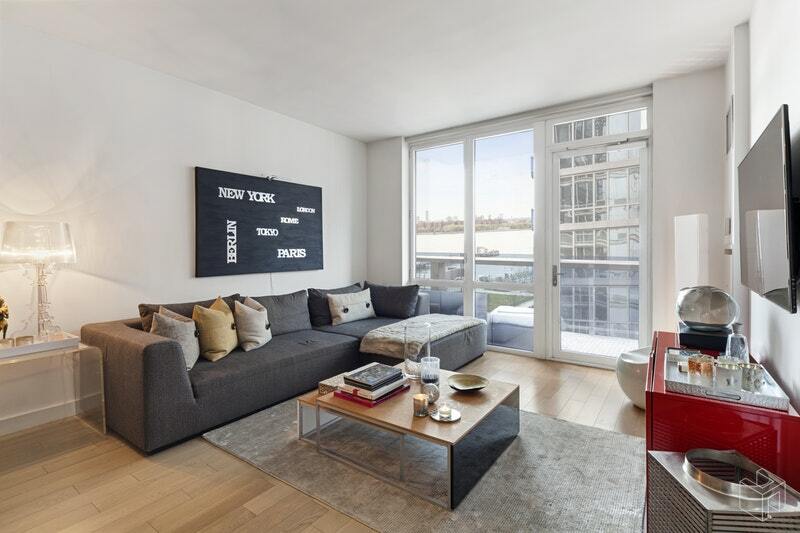 Situated on the waterfront with the East River State Park next door, the location offers breathtaking skyline views and sunsets, yet enough green space to feel at home away from the hustle and bustle of Manhattan. A short walk to the L train at Bedford, or a relaxing ride to Midtown or Downtown on the Ferry, the location provides easy access to Manhattan. Enjoy the best restaurants, rooftop bars, cafes and shopping that have made Williamsburg one of the most desirable neighborhoods globally.